NEW YORK—The King’s men’s baseball team officially started their season this past weekend with a doubleheader against NYU after their season opening doubleheader against Cairn University in Pennsylvania was postponed because of poor weather. The team played only one game, which was called in the fifth inning because of snow, and King’s lost their first game of the season 17-11. Sophomore Captain Jeremiah Gill started the game for King’s and pitched 2 and 1/3 innings with one strikeout, four walks and one earned run. Following Gill, freshman Matt Sifert came in to pitch. Sifert pitched 1 and 2/3 innings. After Sifert, right-handed junior Grant Olson pitched an inning before the game was called for snow. 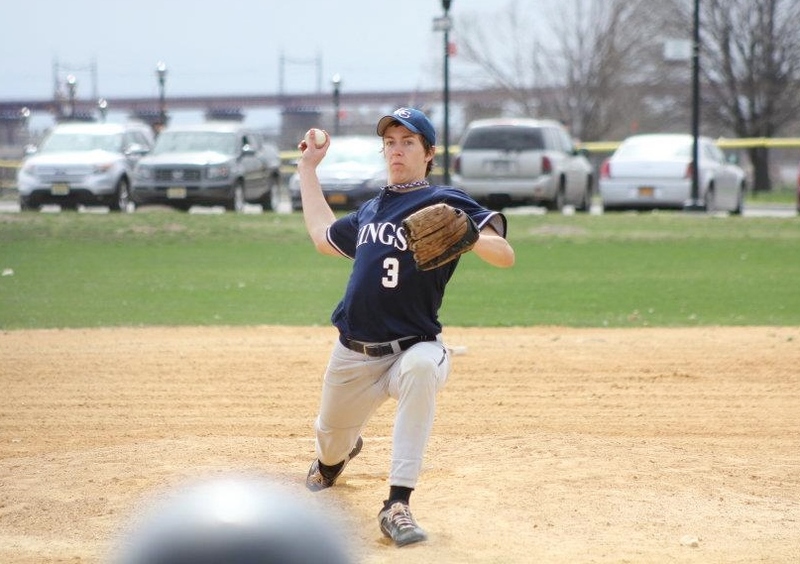 The 17 runs NYU scored were a result of the pitching staff’s struggles and King’s flimsy defense. “[The] defense needs works. Lots of errors led to easy runs for NYU. Simple grounders and pop flies were missed,” Gill said. Yet the team performed well offensively and scored 11 runs. Tristan Kelley ('15) went 2-4 with a double and run scored. Grant Olson ('14) and Kelley had similar sentiments, “The game was good. We had some mental errors in the beginning, but then we settled down,” Kelley said. “It was, again, small mistakes that killed us. […] We’ll try our best going into our four games over break,” Olson said. The next game is this Tuesday, March 19 at Briarcliffe College in Long Island. For more information, visit tkc.edu/athletics.